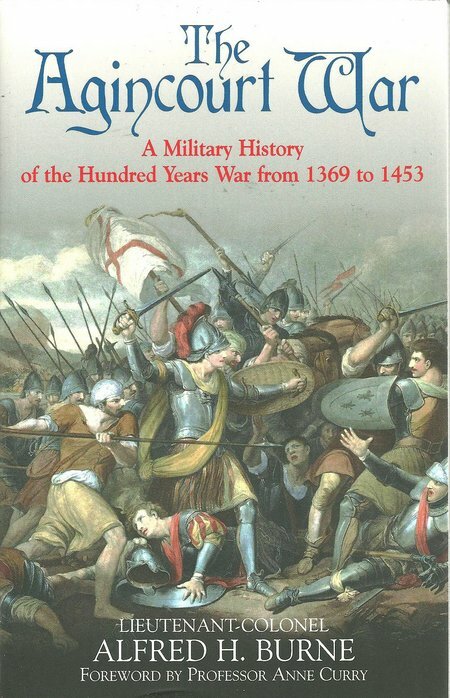 DESCRIPTION: Originally published by Greenhill in 1991, this was the first book to cover an exciting period of Medieval warfare from the years leading up to Agincourt and the aftermath. This period of warfare shaped not only European history but resounded around the world in the following centuries. British history remembers Crecy and Agincourt as great victories, but the total period of warfare was not a success for England and the last outpost in France, Calais, fell during the reign of Henry VIII’s daughter Mary. The series of campaigns and battles leading to Calais made England a strong country that looked outwards in trade and led to the British Empire. Had the Hundred Years War led to the complete defeat of the French, England would have lacked the desire for expansion beyond Europe. The English and the French fought in different styles and that goes a long way to explaining the English ability to fight a major battle against much greater enemy forces and win. Where the French believed in a code of chivalry and the supremacy of the mounted and armoured knight, the English army comprised its archers and men-at-arms with knights fighting alongside them in the battle line and with the introduction of artillery. The English leaders, Talbot, Salisbury and Bedford, and many others, knew the ground they fought on. Their knowledge was superior to the French and the segments of the English force lived and fought alongside each other, sharing the hardships and the victories. Their force was united in a way that the French force facing them was not. Chivalry did not get in the way of fighting to win and in fighting from what might be an unpromising starting position.